MORE POWER + MORE FEATURES + EVEN BETTER VALUE! 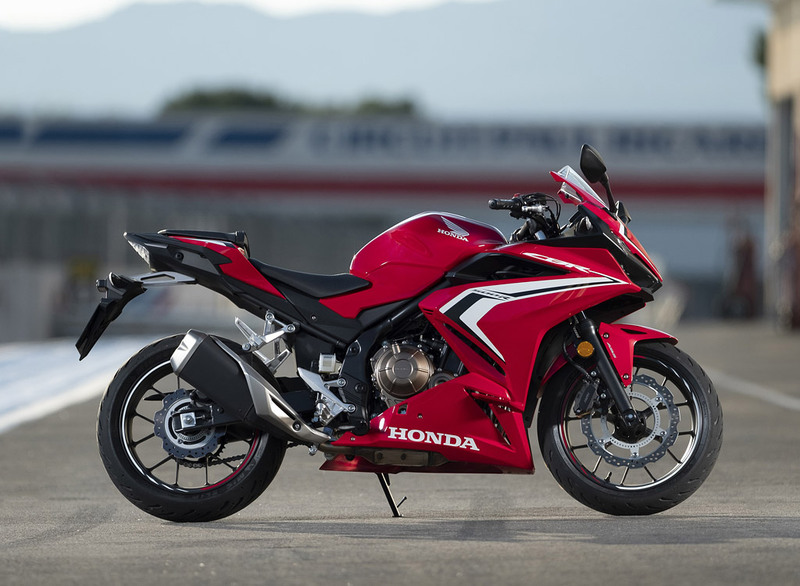 Honda has given the CBR500RA a huge revamp with an impressive array of enhancements and improvements that all add up to cement the CBR500RA as the perfect LAMS bike. IMPROVED LCD DISPLAY: – The all-new dash now includes a gear position indicator and shift-light, two features that were regularly requested by new riders. The new design looks great too with sleek styling and easy to read info at a glance. SLIPPER CLUTCH: – A slipper clutch is usually found on Honda’s premium sports bikes and it is exciting to see it now offered on the LAMS range. Essentially, a slipper clutch smooths and reduces the effects of Engine Braking when riders decelerate as they enter corners. This gives added confidence in corners thanks to the prevention of rear wheel lockup or skipping when setting braking for a corner. MORE POWER: – Lets face it, more power is always welcome! The CBR500RA has always offered impressively smooth performance as it has been designed from day one to meet the class requirements for learner riders. This means no annoying or jerky throttle restrictions or limitations as found on other bikes which have been “turned into LAMS bikes” rather than designed as such. With more power on tap you can have the confidence that the performance is there when you need it most. UPGRADED SUSPENSION: – Smooth and nimble handling is enhanced by revised and upgraded suspension components for the 2019 edition of the CBR500RA. Inspiring confidence and excitement when pushing through the twisty bits. LED LIGHTING: – Visibility is critical for motorcyclists and the new LED lighting package on the 2019 CBR500RA offers excellent performance and a cool white colour temperature that is sure to get you noticed. DUAL OUTLET EXHAUST: – Providing a deeper and richer sounding exhaust note and sporty new look while meeting EURO 4 emissions requirements.